Are you a nerd follower? If you haven't already seen this article by Mike Kojima, over at MotoIQ, then you should head over there to check it out. He goes into details on the CRP/Hawk Performance Nissan GT-R that is campaigned in World Challenge. I think Mike sugar coats the article a bit. The car has a lot of trick parts, couple years of development, and it has had a hard time finishing races. Most of the time its near the end of the pack, and when it does finish, its never very well. CRP also runs a Corvette, the GT-R is now built very similar to the Corvette. The Corvette can win on any given weekend, the GT-R doesn't even get close. Something is just missing out of that equation, to make a good showing.I know how tough World Challenge GT is to race in as I have competed in 2006 with an R34(finished only one race), and 2010 with a Scion tC(won the touring car championship). The WC GT GT-R is very interesting technically, the car has a front mid engine mounting configuration with a rear mounted transaxle and has been converted to rear wheel drive, much like the Sumo Racing GT-3 GT-Rs being campaigned in Europe. 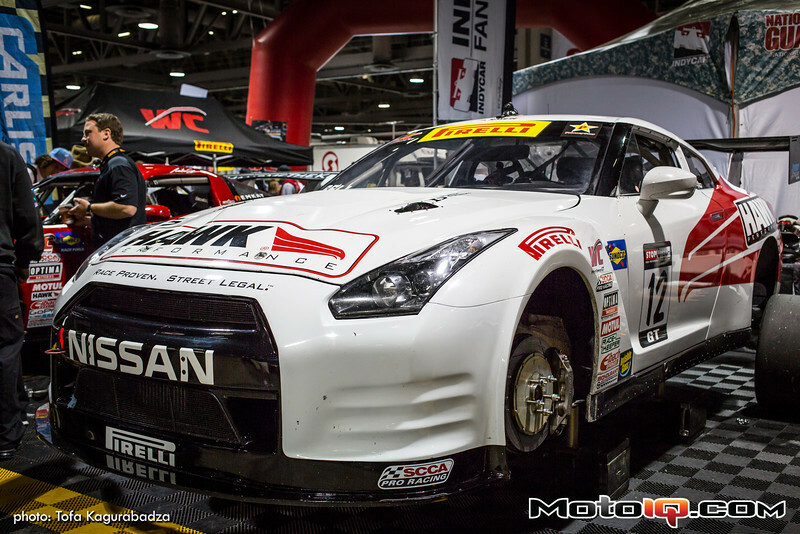 CRP has come up with plenty of innovations in an effort to bring the big GT-R up to speed. These things make for a pretty interesting car, read on and check out what's inside it! Visit MotoIQ for the full story. More World Challenge GT-R pictures, videos, and information.